"Uniting and enlightening men and women at work"
Anne was born and brought up in Penzance, Cornwall; a most beautiful part of the world which will always remain dear to her heart but sadly lacked work opportunities as well as taking a long time to get anywhere. As a result she decided to join the Women’s Royal Naval Service (WRNS), in the secretarial profession, initially for 4 years but ended up staying for 22! After initial training learning customs of The Royal Navy and specific administrative and secretarial procedures, Anne‘s career in the Wrens took off in earnest, initially in junior posts progressing to more senior roles such as PA to many senior figures, as well as being responsible for the work and welfare of staff. It certainly provided many fantastic opportunities, challenges and fun! As PA to The UK National Military Representative (NMR) in the Supreme Headquarters of the Allied Powers Europe (SHAPE), Mons, Belgium, Anne enjoyed learning about the customs of the other Nations (Greek, Turkish, Portuguese, Canadian, American, French, Dutch, to name a few) and although the working language was English, had to concentrate very carefully at times to understand what was being said to her in person and on the telephone! This environment also provided wide networking socially. As Staff Officer at a Search and Rescue, Sea King Helicopter Training Squadron, Anne’s role encompassed much variety, such as production of training programmes, a daily flying programme, diary support for the Commanding Officer (Chairman), personnel matters, managing an assistant and arranging ceremonial functions attended by members of The Royal Family. Being a rescue squadron the aircrew often flew unsociable hours in extremely difficult situations such as the Zeebrugge Ferry disaster in 1987. Another tragic accident resulted in the loss of a helicopter and three aircrew. It was a very sad time for a close knit unit which affected the morale of the whole squadron. Such tragedies required the balance of achieving the work of the day but also being empathetic with support to the aircrew. With the WRNS, Anne had the great fortune to be based in Malta, Portugal and Naples. Whilst in Naples she was privileged to be part of a Private Audience with Pope John Paul II at the Vatican. Further highlights at home in the UK included attendance at a Royal Garden Party and diving in a Submarine, with a certificate to prove it! On leaving the Wrens, Anne worked with a City of London Livery Company as PA to the Chief Executive during which time she arranged many ceremonial events, as well as managing the day to day work and Chief Executive! At the Royal Parks Headquarters, Anne took up the post of PA to the Chief Executive just at the time of the tragic death of Diana, Princess of Wales which became challenging with ever moving goal posts because The Royal Parks became a focus for the flowers as well as being the processional route for the funeral cortege to and from Westminster Abbey. Later, Anne progressed into the role of Records Manager and Data Protection Officer, where she took responsibility for compliance with the statutory obligations of The Public Record Acts; Freedom of Information and Data Protection. This included producing guidance for staff and submissions to management. In all roles Anne managed various teams of staff, providing guidance, support and encouragement. Passionate about her secretarial and administrative roots, Anne set up an organisation for those in office administration, working in London, who are also passionate about the profession. This organisation prides itself on a warm and caring welcome. Anne broaded her learning curve through on the creation and launch of its website which proved a challenging learning curve. The project has broadened her skill base plus endorsing the value of ‘social networking’ in today’s business and is a long way from the start of her career! To relax, Anne enjoys visiting National Trust Properties, discovering the History of London, calligraphy, The Association of Wrens Kingston upon Thames Branch Chairman. 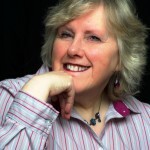 Anne, with her eclectic network of contacts, relies the challenge of leading the Branch onwards and upwards and arranging speakers for the Kingston upon Thames Wrens Branch who meet on a monthly basis.